Anthem Seniors is an award winning assisted senior living care provider in Arizona which has been a pioneer in providing with impeccable services in senior living in Anthem through our Anthem assisted living care for the seniors and their families in the Phoenix area. You can select from any of our comfortable and exquisite assisted living Suites where you can expect to get all the basic amenities such as concierge services, sumptuous meals prepared by professionals, etc. You would totally feel at home staying at our Suites. Anthem Seniors has some of the most well-trained, sensitive and tender-hearted caregivers who always makes sure to provide with the best possible care to an elderly person so that they can completely feel at home. 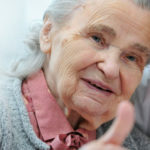 There are many people who because of their work commitments are unable to look after the aged members in their families such as the parents, grandparents, etc so Anthem Seniors caters to all these people and through our assisted Anthem senior living services we strive to offer the requisite peace of mind to them by taking high level care of their loved ones. You can get the Suites at very affordable rates so you can choose one in accordance to your taste and budget. 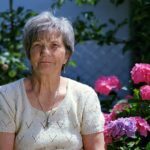 Your loved one can expect to get the required Anthem senior advantage in the form of their basic demands being addressed and met with at Anthem Seniors. Anthem Seniors' caregivers would always be at round the clock assistance for your loved one so that your beloved can get the best assisted living care. Our goal is just to see people leading a happy life at Anthem Seniors with all the worries left to us. Anthem Seniors is one of the most preferred Anthem senior living homes among people so just lead a good, independent, worry-free life over here. 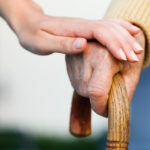 We have been providing with services in assisted senior living care in Arizona since our inception. My husband Dr. Christianson resided at Anthem Senior Living and couldn’t begin to say enough good things. The staff truly has a heart for what they do. We always knew what the status of my husbands health was and their medical staff was always very proactive in making sure he was thriving and not in pain. They treated us like family and were always so kind to us. We recommend Anthem Senior Living to anyone looking for quality senior care in Anthem. My mom Tiny lived at Anthem Senior Living for 3 years. Even at the age of 107 she was able to verbalize how much she enjoyed her home at ASR. The staff was always very accommodating and each resident there is treated like the most important resident there. My family visited often and we were always welcome and felt part of the family! My mom Eve lived at Anthem Senior Living for 4 years and she absolutely loved it there. She was never shy to speak her mind so the fact that mom lived there that long is really saying a lot. Mom loved the staff and the other residents and there was a real sense of family that she was apart of. Even when mom had to move out due to financial reasons, they made sure she ended up in a great place. They still visited her at her new place and still sent their massage therapist to keep her feeling loved. I couldn’t ask for better care and I’m very pleased with all the care and love they gave my mom! My husband Dr. Richard Leigh was a resident of ASL. He has many challenges but among some were Lewy Bodies Dementia which is a very difficult disease to work with. The team at Anthem never gave up or ever made me feel bad for the amount of work they had to put out. They always did their jobs with a great level of professionalism and heart. I recommend ASL and thank them so much for their quality care. Our mom Lola called ASR home for the last 5 months of her life. Before that she spent time Anthem Senior Living for a respite stay. The staff always went above and beyond for her and our family and we couldn’t be more grateful. We often refer family and friends to Anthem Seniors because after working so closely with them, we saw firsthand their commitment and heart from their clients. Bill and I could always leave out of town knowing mom is in good hands. Thank you all so much! Expect for your loved one to get high level of assisted living Anthem care in the hands of our compassionate caregivers at Anthem Seniors. Anthem assisted living services at Anthem Seniors are incomparable as we strive hard in fulfilling each and every need of a senior member putting up with us. 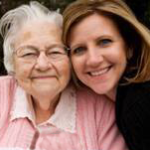 You can totally entrust the responsibility of your loved ones with our caregivers. Anthem Seniors is one of the most trusted and renowned Anthem senior living care providers in the area of Phoenix. You can totally be at peace by handing over the responsibility of your loved ones with our caregivers. So get your beloved an extremely worry-free lifestyle at the award-winning Anthem Seniors. The care provided by our caregivers would totally make your beloved feel at home. What sets Anthem Seniors apart from others are the facilities provided by us through the mode of live entertainment, totally furnished clean rooms, nourishing and wholesome meals and much much more. Our caregivers always looks forward to the well-being of the seniors as we believe that they deserve the best and we give them that in the form of love and care to them. Offers Award Winning Assisted Living in Anthem AZAnthem Senior Retreat (ASR) was founded on basic principles that have made our other facility Anthem Senior Living the only great options for Assisted Living in Anthem AZ for the past 13 years. Serving the Anthem since 2003! Quality elder care is one of the reasons why Anthem Senior Living is one of Arizona’s preferred assisted living homes, specializing in all levels of care, we offer senior residents with independence while assuring that all their care needs are met.Welcome to Arizona assisted living homes by Anthem. Offers Award Winning Assisted Living in Anthem AZ anthem-senior-gardens (ASG) was founded on basic principles that have made our other facility Anthem Senior Living the only great options for Assisted Living in Anthem AZ for the past 13 years.